Finding the words to define one’s expertise is hard. There are now several pages in my notebook* filled with one or two-word descriptions of things that I believe that I am good at and things that I am an expert in. After I wrote down all these words, I then took time to think about what I meant by each of them. I call this deep thinking. I am ….a change agent; innovator; caring; mentor; mother; teacher; project manager; driven….. you get the idea. 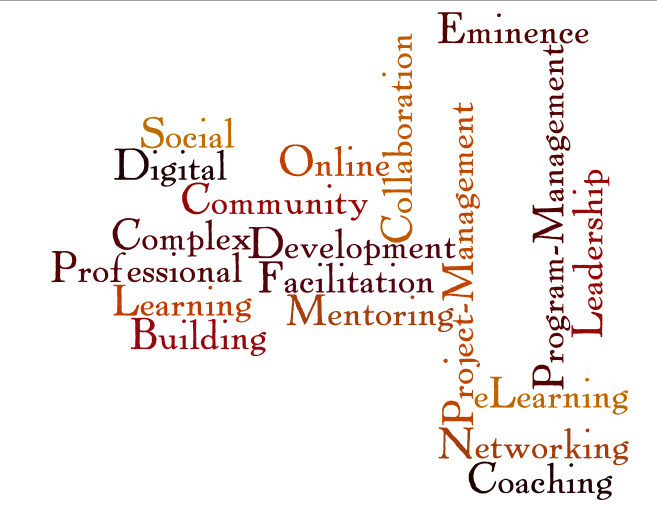 Attitude Adjustment Homework #2: Take some of your words and make a WORD CLOUD (its fun and helps you to visualize). You can make your cloud at http://www.wordle.net/create. Let’s break that down: (1) know HOW, (2) know WHAT, (3) know WHY, and (4) ATTITUDE. If you have those four elements of competency then you can definitely consider yourself an expert in an area. That works for me. Attitude Adjustment Homework #3: Check in with other people to see if they agree with your cloud of expertise and if they would add or delete anything.